The prime destination San Pedro Ambergris Caye is overflowing tonight with the local as well as international visitors. The San Pedro International Costa Maya 2015 celebrations started on Thursday night with the Reina de la Costa Maya Pageant, as the big ticket event. 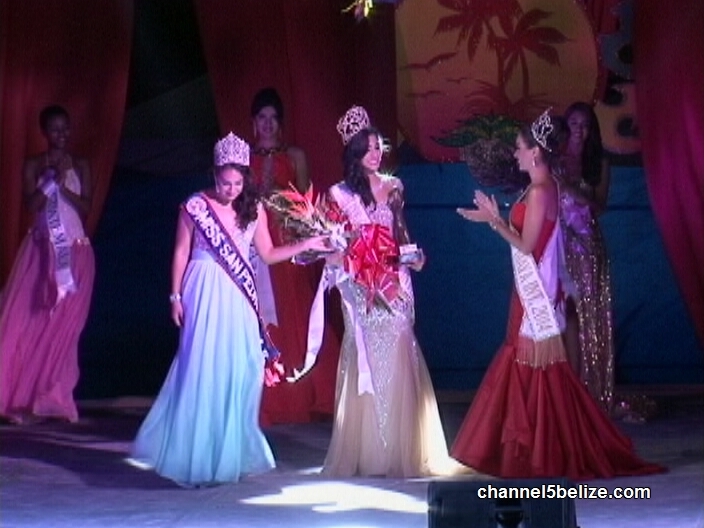 Eight contestants from Central America and Mexico competed in the international pageant which had the colourful and Caribbean flavour of carnival. At the end of the evening, one walked away with the title after rocking the stage and wooing the audience in national costume, evening gown and bath suit competitions. We were there to capture the sights and sounds of the pageant; so here is a snippet of what happened on stage. To view the entire competition, stay tuned to this station, because the pageant will be aired at eight o’clock tonight. So you can catch the colour and pageantry of the Reina de la Costa Maya 2015.